If you felt the movie moved quickly the novelization fills in the blanks quite nicely. ADF does a great job of getting us inside the minds and emotions of the characters. The 'deleted scenes' are well worth getting this novel. The book pays homage to the original movies. It has its share of humor, drama, action, sorrow, and slight surprises. It even has elements of the expanded universe that you can identify if you have read the EU novels. A good read for any Star Wars fan old and new. It was great to see the movie first as the book helped fill in a few gaps. Had it been the other way around I would have felt the movie lacked a little something. Examples would be Poe's time on Jakku after the TIE fighter crash, Plutt's attempt to get Rey back at Maz's Cantina and the gesture to Rey by Chewbacca in the cockpit of the Millennium Falcon at the end of the story. This review was first published on Kurt's Frontier. 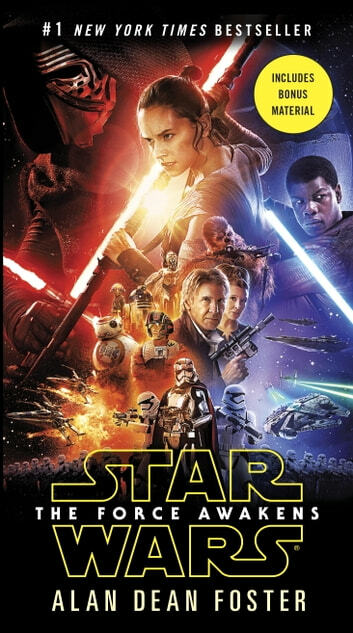 Synopsis: Years after the battle of Endor, the death of Palpatine, and the reclamation of Darth Vadar/Anakin Skywalker, the darkness is rising again. The remnant of the Empire has reshaped itself into the First Order. General Liea Solo is searching for her brother, Luke Skywalker who has vanished. A trusted move to secure information that could help her locate him. However, the First Order is not far behind. A young First Order Storm Trooper has seen too much and defects. A scavenger girl who is more than she seems comes into possession of a droid with the much sought after information. Together, the three set out to help defeat the first order. Along the way they meet old heroes and new enemies. Supreme Leader Snoke has taken over the roll of the Emperor, and Kylo Ren is his apprentice. Review: It is interesting to do my first review of the novelization of the long anticipated seventh edition to the Star Wars series. I was a bit taken aback when I first heard that Disney would make the movie. I had visions of Storm Troopers with Micky Mouse Ears… excuse me… helmet enhancement units. I was more than pleasantly surprised by the movie, and doubly so with the novel. The story centers on three people. First is the Storm Trooper FN-2187 who takes the name Finn. Second is Rey: a girl living by her whits on the planet Jakku as a scavenger. On the other side is Kylo Ren, an admirer of Darth Vader and the new enforcer of the First Order. He also has demons he has yet to vanquish—or embrace. Tying them together is the droid, BB-8 who is carrying a partial map to the jedi hero, Luke Skywalker. It is a story of facing fear and of bonds of friendship. Fans of the series will be pleased.